Floppy drives have been used in computers for many years. They provided a great way of easily transporting data from a computer. Until the introduction of the optical drive, floppy drives were the standard in storage medium. Although they have been virtually all but phased these days, a small number of people still use floppy drives and motherboard manufacturers continue to include floppy disk controllers on some of their motherboards. 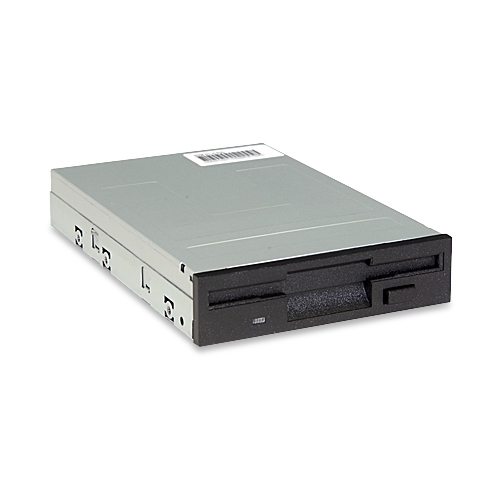 For a great selection of floppy drives, be sure to check out TigerDirect.com. As program files and games became larger so did the need for more storage space and floppy drives were quickly replaced by the much larger capacity of optical media (CDs, DVDs, and Blu-ray discs). With a total size of 1.44MB available on a floppy drive, this is easily dwarfed by the 750MB of a single CD and DVDs and Blu-ray only further widen the storage capacity gap. However, optical discs are susceptible to scratches through everyday use and this could render the data on the disc unreadable while a floppy disc's information is protected by a sliding shield. Purchasing a floppy drive has become very inexpensive. You can buy a high quality floppy drive for a mere $10 from many of the online venders including TigerDirect.com. Floppy discs are cheap also, costing about $5 for a 10 pack. Because people still have a use for floppy discs, I have included a guide on floppy drive installation. All in all, it is a very simple process and similar to installing an optical drive. 1. Begin by powering down the computer and remove the cables from the back. 2. Remove both side covers from the computer case. 3. Locate an empty drive bay slot and pop out the plastic covering. 4. Slide the floppy drive into the case from the front. 5. When the drive is flush with the front of the case, the Phillip screw holes will line up. 6. Secure the drive to the case using Phillips screws. 7. Attach the floppy drive cable to the back of the drive and the other end to the appropriate location on the motherboard. In the image below, the floppy drive cable location is indicated by "FDD." 8. Attach the special 4 pin power connector (called a Berg connector) to the back of the floppy drive. 9. Return the case side covers and re-attach the cables to the back of the computer. 10. Power on the computer and thats it! Note - If you notice the floppy drive front light is steady on, this means the cable needs to be rotated 180 degrees on the back of the drive.